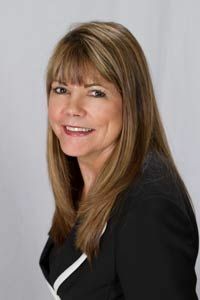 Rhonda is a Business Performance Consultant with DBI who serves our clients with great care and passion. Previously, Rhonda was a Regional Manager for The Marlin Company selling a cloud based SAAS employee communication solution. Her vertical markets mainly consisted of mid-large size Transportation, Warehouse/Distribution, Healthcare, Hospitality and Manufacturing companies. Her achievements included Rookie of the Year, #1 in First Year Production, #1 in new business sales (41 new customers in one calendar year), #1 in renewal business, and Presidents Club and Council which consists of the top 5 producers out of 65 in the company. For 23 years Rhonda was a Financial Advisor starting off with cold calling out of a phone book to building a book of business of $24million in assets that she personally managed. She was the co-host of a nationally broadcasted radio show giving financial advice to callers. She also wrote and taught an 8 week course in stock picking using technical analysis through the adult education system. In addition, Rhonda was a Corporate Sales Trainer and National Speaker for the Anthony Robbins Company. She traveled extensively through the United States meeting with fortune 500 companies to perform sales training and teach motivation techniques. Rhonda loves outdoor activities including running, sailing, biking and hiking. She loves to travel to meet new people and learn about their cultures. She grew up in Phoenix, Arizona and attended Arizona State University. You can reach Rhonda directly by dialing 512-270-6997. Go ahead - call her - you'll have a great conversation!